A very fine fragrance that matches & blends into human sense of scents. You may not even realize that the incense is burning. When you enter the room – it is like heaven! Created with the essence of flowers, herbs & spices enjoyed by many. 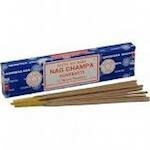 Package of 20 sticks of premium incense. 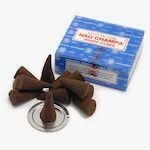 INDIA TEMPLE CONES ARE ALSO AVAILABLE IN OUR STORE! 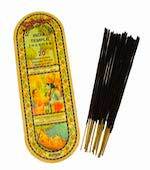 Box of 25 India Temple Incense cones.